Room were very spacious, location was excellent because it was walking distance to shop nearby, value for money, would definatly stay there again. Reasonable distance to city. On site parking. Receptionist was very informative. Excellent place: very close to the sea, shopping centre, food, and cruise port. 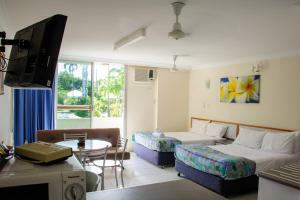 Large room with full equipment: cooktop, large fridge, bathtub, two queen beds and TV. Wonderful facility: brick building very comfortable, vegetable every where, parking space And good price for all these above! Good value for money, neat and clean, close to both town and airport and well signed. Good location, Only 30 minute walk into town along esplanade. Hotel is very dated but very clean and comfortable and has all required mod cons. The hosts were exceedingly nice people who were helpful and friendly. The appartments (we had 2) were exceptionally clean and well thought-out. Perfect for a budget holiday. Great kitchen, well stocked. Good location near Esplanade and on bus route. Bath. 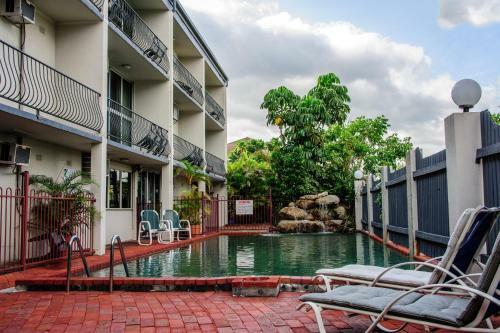 Not plush at all, and no pool, but we just used the Cairns Lagoon. 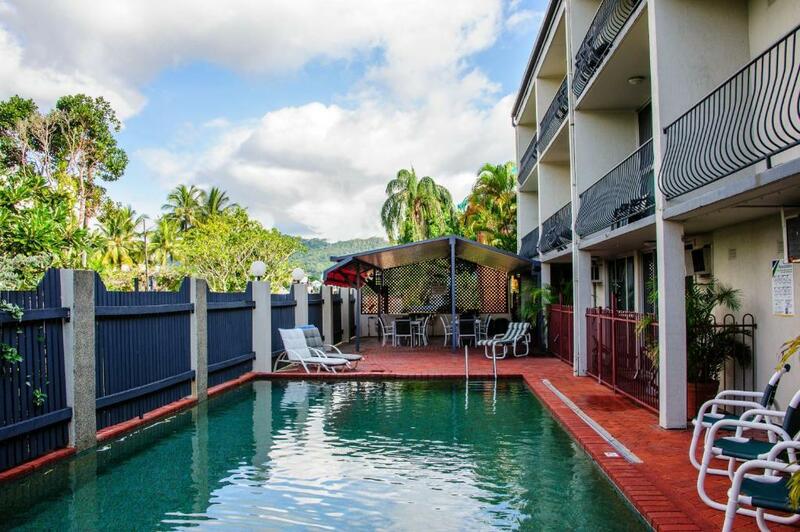 Lock in a great price for Cairns Holiday Lodge – rated 8.3 by recent guests! Cairns Holiday Lodge This rating is a reflection of how the property compares to the industry standard when it comes to price, facilities and services available. It's based on a self-evaluation by the property. Use this rating to help choose your stay! Just a 2-minute drive from central Cairns, the Cairns Holiday Lodge features free Wi-Fi and a saltwater swimming pool with a waterfall feature. Some rooms include a balcony with mountain views. 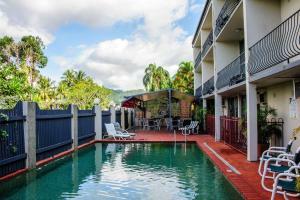 The Cairns Holiday Lodge is a 5-minute walk from the waterfront. The Esplanade Lagoon Pool and The Pier are both a 5-minute drive away. 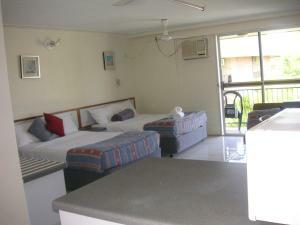 The lodge is a 1-hour drive from Port Douglas. 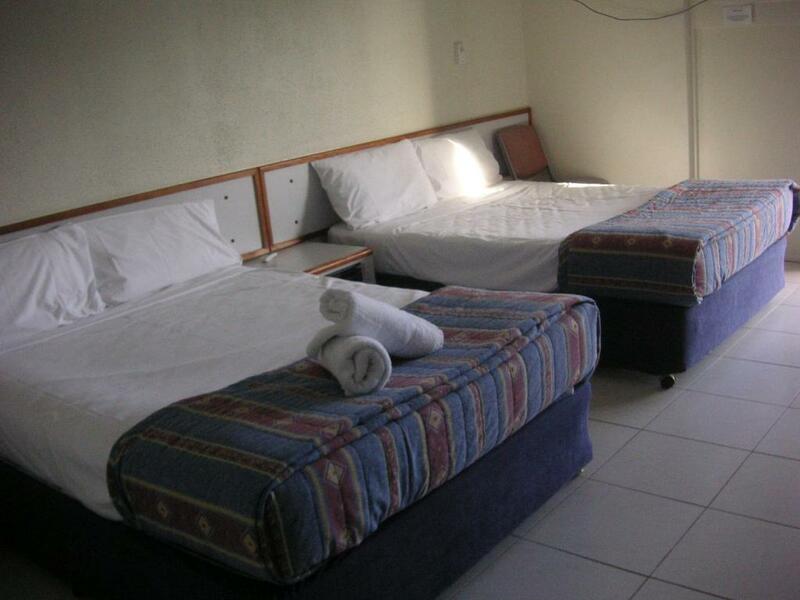 All air-conditioned rooms feature a dining area, ironing facilities and a TV with cable channels. They include a microwave, fridge and tea and coffee-making facilities. The private bathroom has a hairdryer. Guests enjoy open-air dining in the outdoor area complete with BBQ facilities. There is also free parking and a tour desk to organize activities such as snorkeling and scuba diving tours of the Great Barrier Reef. 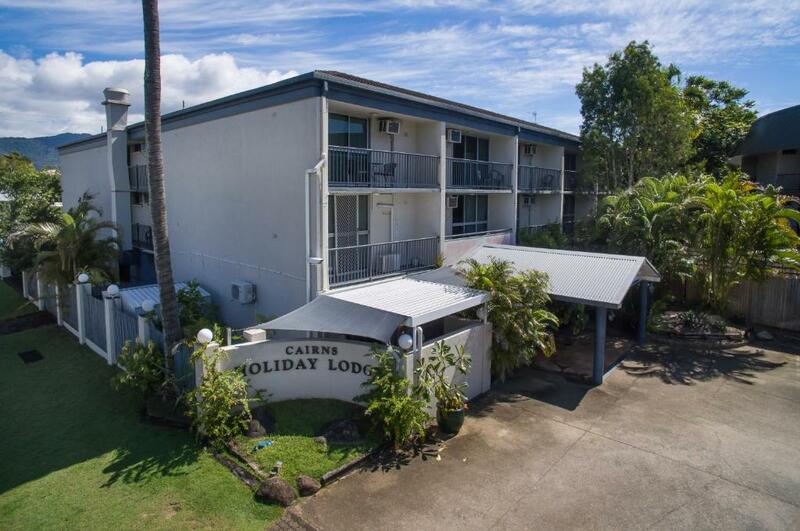 When would you like to stay at Cairns Holiday Lodge? This air-conditioned studio features a dining area, ironing facilities and a TV with cable channels. It includes a kitchenette with a microwave, a fridge and tea and coffee-making facilities. The private bathroom has a hairdryer. This air-conditioned room features a private balcony, ironing facilities and a dining and living area with a TV with cable channels. It includes a microwave, fridge and tea and coffee-making facilities. The private bathroom has a hairdryer. This air-conditioned studio features disability access, a dining area, ironing facilities and a TV with cable channels. It offers a kitchenette with a stovetop, electric frying pan, microwave and fridge. The private bathroom has a hairdryer. This studio has a balcony, tile/marble floor and microwave. 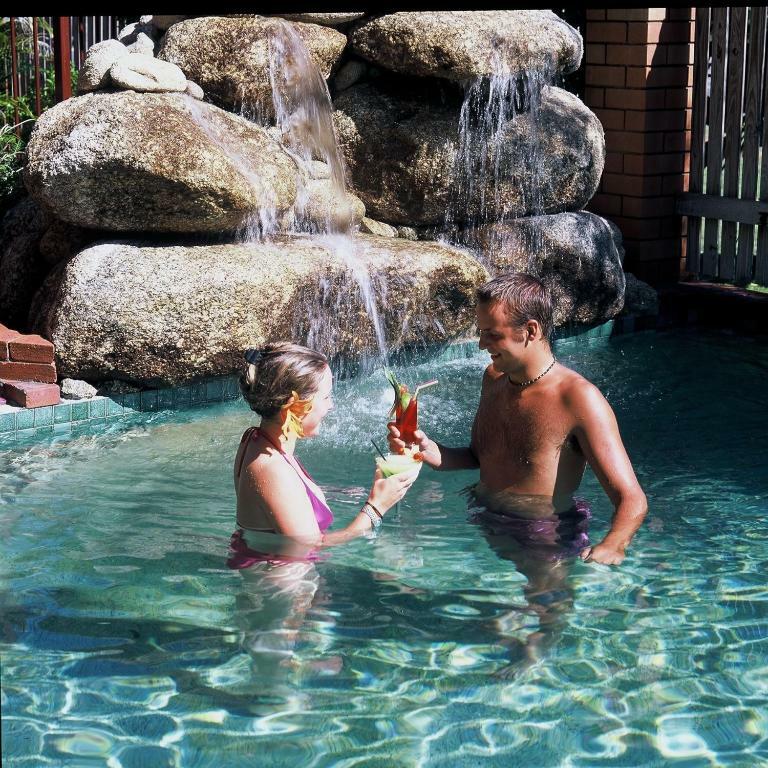 House Rules Cairns Holiday Lodge takes special requests – add in the next step! Debit card Cairns Holiday Lodge accepts these cards and reserves the right to temporarily hold an amount prior to arrival. Cairns Holiday Lodge accepts these cards and reserves the right to temporarily hold an amount prior to arrival. 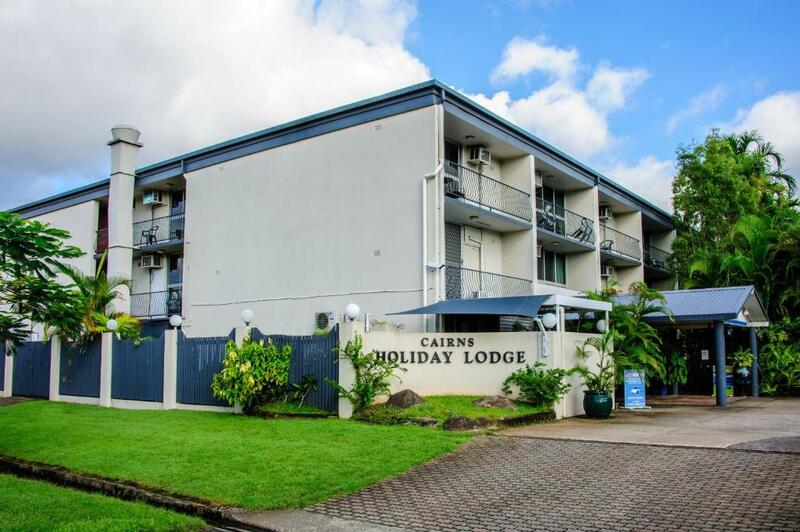 If you expect to arrive outside front desk hours, please inform the Cairns Holiday Lodge in advance, using the contact details found in the booking confirmation. Personalised attention from Mike and Susie. Nothing to dislike about this place. Too many stairs to climb to get to our room. Room needs to be updated. The property is now in a mature stage therefore you must expect the failings of a 40 year plus aged establishment. The air conditioner is a little old, though cool enough. Didn’t like the kitchenette, but didn’t need to use it much. Didn’t like the refrigerator away from the kitchen and in front of the mirror. The whole room need to be refurbished. At least the stove, TV, and light should be renewed. Washing machine and dryer should be equipped. Bathroom is ok. Beds are decent.